I would like to think that if this time of year had an official non-holiday food that food would be chili. Piping hot bowls just waiting to be topped with cheese, sour cream, crackers or whatever else you need to make it your bowl. No matter how busy or relaxed your day is, chili delivers a warm and hearty meal that can be enjoyed around a table, on the couch or slurped up quickly in between holiday errands. Every person I know that makes chili has his or her own tweak they make to put their signature on the chili. 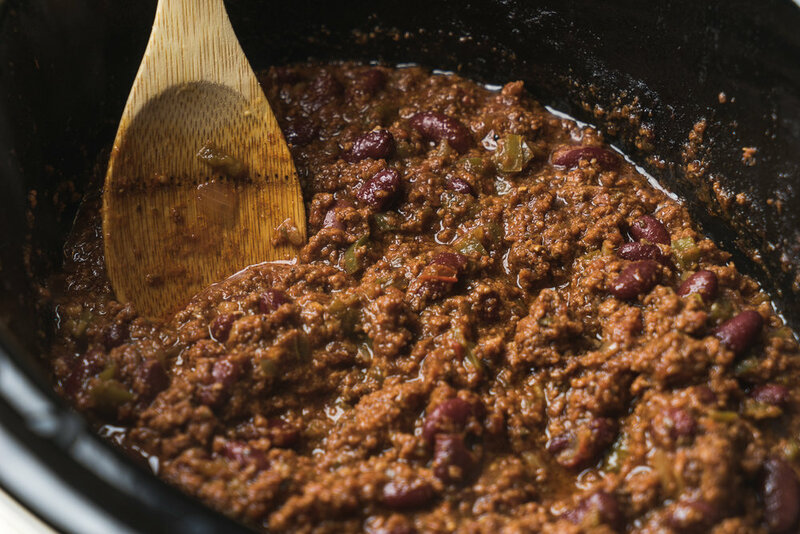 From multiple meats, different beans, seasoning, heat and even how they cook it (slow cooker vs. stovetop), chili is one of those meals that can become whatever you want it to be. My version is a very basic chili recipe that is just begging to be tweaked and made into your own special mix of chili goodness! So let this recipe be your guide to creating a super special chili you can serve on cold nights, game nights or any time you need a kick of spicy, meaty goodness! Serve with your favorite chili fixings and some tasty bread to sop it up! As mentioned above, this recipe can be made on the stove top as well. All of the directions/ingredients are the same; however you will want to cook it over very low heat, stir frequently and keep a good eye on the chili. It should be done after about 1-2 hours on the stove top. This recipe has a mild kick, so if you are not an extreme spice person or have young children, you may want to drop the chili powder down to 1 tablespoon or omit the cayenne powder and offer Tabasco Sauce, chili powder or cayenne powder at the table for those who want to kick it up a bit. Try to avoid peeking in on the chili if prepared in the slow cooker. Slow cookers rely on steam and heat to stay trapped inside to cook the food so you don't want to go releasing it! You can gently shake the slow cooker if you want to mix it up a little but try to wait at least 5 hours into the cooking (low setting) before you give it a stir! Don’t be afraid to mix it up! Using this general flavor template as a guide, feel free to play with the amounts of meats, beans and seasoning to make that perfect for you mix. 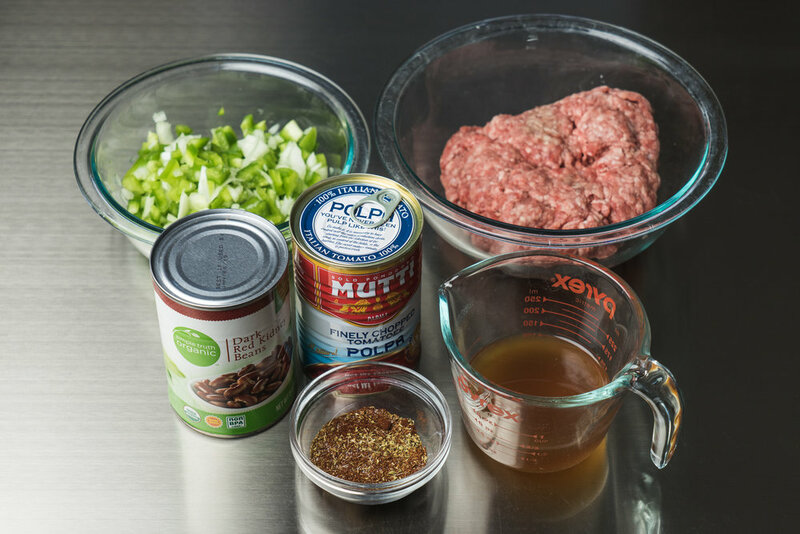 Cooking is all about experiments and chili is the perfect blank slate to make something of your own that you will want to whip up again and again!